Sound, or rather great sound, often carries with it a matching price tag. Take the multiroom omni-directional R3 wireless speaker from Samsung for example. A piece of audio hardware that not only looks the part, but also delivers 360-degrees of sound as promised. It is worth R5 500 though? 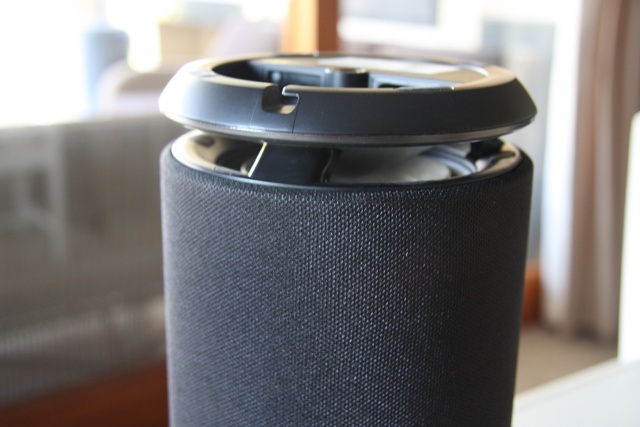 Unlike smartphones, products like speakers are long term investments. They become fixtures in one's home and need to prove themselves worthy of the price tag. As far as design and construction are concerned, the R3 wireless multiroom speaker more than measures up. Cylindrical in shape, the 273 mm tall R3 starts off a little wider at the top (144 mm), to subtly taper down to the bottom. Should the bass drop (or an unexpected knock happen), owners can rest at ease, as the R3 is fairly weighty at 2 kg. All in all then, the R3 feels a very well constructed and robust piece of hardware, and one that should stand the test of time from a wear and tear perspective at least. While the R3 is nice to look at, what makes it noteworthy is the technology that Samsung has crammed into this offering. The first and most obvious is the 360-degree omni-directional sound it boasts. The speaker portion of the R3 wraps around most of its cylindrical body, with a single tweeter and woofer, as well as an acoustic lens on either end of the device to encapsulate everything. This yields a sound that indeed fills the entire room as Samsung claims. That ability makes the R3 well suited to listening to variety of music genres, along with coping when the volume is turned all the way up. As such, listeners will likely be pleased by the fact that little to no distortion or tinniness is audible from the R3 - frankly expected from this price range. It also makes the R3 a solid option for pairing to one's TV and enjoying audio content from there, provided it is smart in nature and can pair via Bluetooth or Wi-Fi to other devices. Like many modern speakers, the R3 can be controlled two ways, either on-device or via a mobile device. The former makes use of the top of the R3, a black aluminium surface that features a number of surreptitious controls embedded into it. When connected to a power source, one can select the pairing method by tapping the mode button. Each tap cycles through either Wi-Fi, Bluetooth or TV SoundConnect (for Smart TVs specifically) modes. There's also an in-device voice that lets users know when they've successfully paired, as well as which mode they're in. The other aspect of the R3's on-speaker controls means users can either swipe with one finger from left to right to skip to the next song, or swipe from right to left to select the previous song. Single taps of the centre of the surface will pause or resume audio playback. These controls are a little hit and miss, particularly when trying to cycle through modes or pause music. This is because there's a definitive delay between pressing the button or performing the required gesture, and the desired result. While this is not a deal breaker, it did prompt me to rather control the R3 from my smartphone instead. Along with being able to control the R3 from a paired mobile device or TV, owners will also have access to the Multiroom Link feature and app. The latter offers a dedicated portal from either an iOS (6.1 and above) or Android (2.3.3 and better) device. 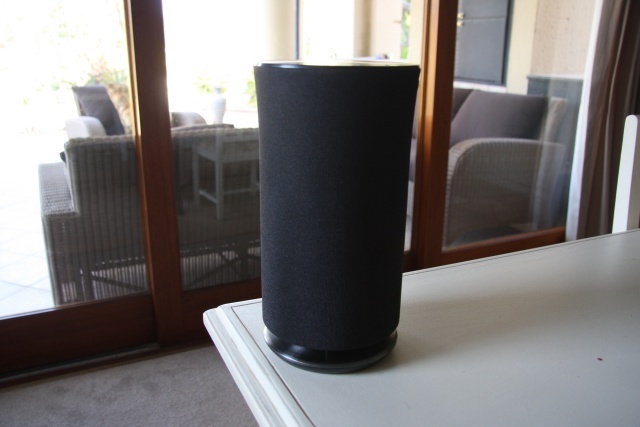 Those familiar with apps like iTunes or Google Play Music will be able to navigate fairly easily, with the only advantage of the Multiroom app being the ability to view other compatible speakers or devices (if you own any) in the house. 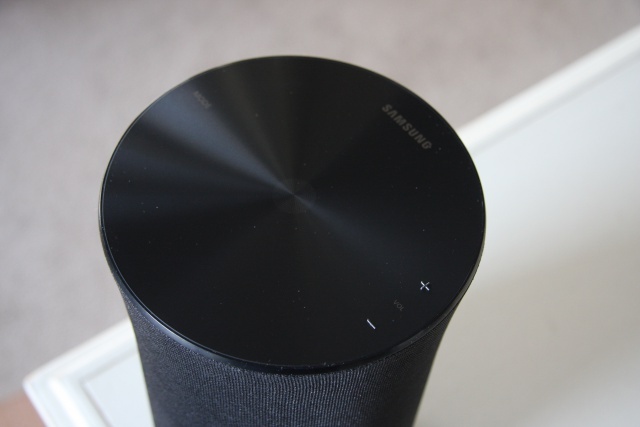 As far as the Multiroom Link goes, it only makes sense if you own a number of Samsung-branded audio devices like Sound Bars or other wireless speakers and Smart TVs. Then users can control their entire audio ecosystem from one central location. It's not a compelling reason to buy an R3, but is a nice feature to have at one's disposal. 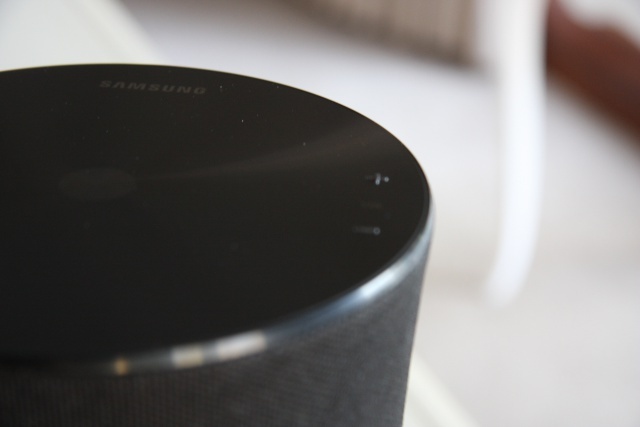 The Samsung R3 wireless speaker is clean and simple, both in design and execution. While there are certainly other room speakers that can deliver better sound quality, they often cost four to five times more than the R3. As such, for any consumer looking for a well balanced speaker that touts some nice technological flourishes and won't break the bank at R5 500, the R3 is a safe bet. Added to this is the ability that it can pair with almost any piece of equipment that stores music, as well as be part of a larger audio setup in your home. Furthermore, the R3 can be one of many Samsung purchases you make. To that end, it appears that the South Korean manufacturer has done what it set out to.